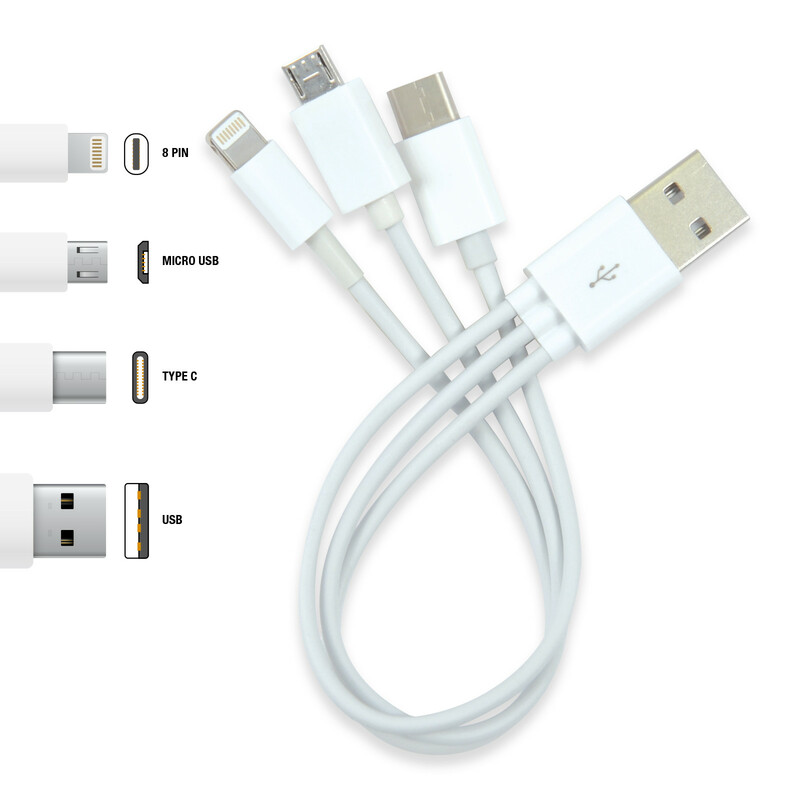 3 in 1 USB connector cable, includes 8 Pin, Type C, and Micro USB cables. Type C is a new connector that is being embraced by IT manufacturers and is being featured on recent releases and future phones, tablets, laptops and accessories. A benefit of Type C and 8 pin connectors is they can be plugged in up or down. Type C charges or transfers data from your new device. 8 pin and Micro USB are power only.